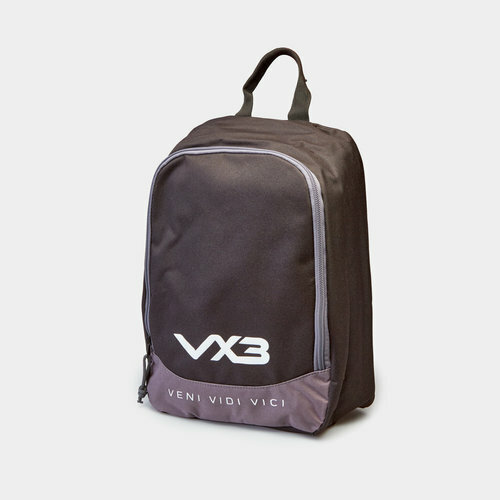 A bag designed specifically for your boots which will help keep your kit and clothing clean use this VX-3 Boot Bag in Black and Dark Grey now. This bag comes in a black and grey colourway. It has been finished with the VX-3 logo on the front at the bottom whilst the words "veni, vidi, vici" - the Vx-3 slogan - are written underneath that.